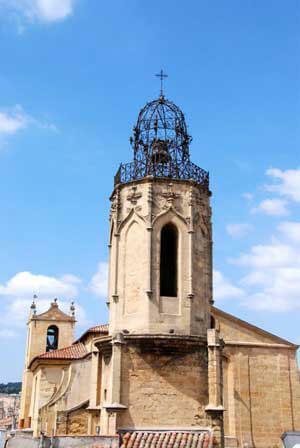 Built during the 12th Century, the Couvent des Augustins was gradually transformed until the 17th century. Martin Luther was one of the most notorious hosts of the Convent. Founder of the Protestant Reform movement and member of the “Confrérie des Augustins d’Erfurt”, he stayed a long time at the Convent after being excommunicated by the Pope Leon X in 1521. Later, some notable Aix en Provence families erected their Chapel here. During the French Revolution, the Convent was divided and sold as national assets. The nearby Augustins Chuch was demolished. The only visible surviving trace is the 15th century bell tower, which one can see from different rooms of the hotel.